LITTLE ROCK—This Halloween, find out that there is nothing ghoulish or spooky about saving and investing. Educators K-16 are invited to register for a one-day summit about saving and investing hosted by Economics Arkansas, a non-profit educational organization, on Thursday, Oct. 29, 2015, in Little Rock. Upon successful completion, they will receive 6 hours of professional development credit approved by the Arkansas Department of Education, $100 substitute reimbursement, curriculum and lunch and snacks. Get Smart: The Basics of Saving and Investing is scheduled from 8.30 a.m. to 4.30 p.m. at the University of Arkansas Division of Agriculture, Cooperative Extension Building at 2301 S. University Avenue in Little Rock. It will focus on saving and investing with sessions on studying financial markets, making sound financial and investment decisions, choosing among various saving and investing options, recognizing and protecting yourself against investment fraud and understanding the role of investment regulators. 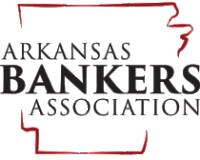 The day will include a plenary session with Larry Cathey from the Arkansas Securities Department as keynote speaker and breakout sessions. Registration must be made in advance online at www.economicsarkansas.org (click on Events Calendar and select Oct. 29) or by phone at 501-682-4230. The registration fee of $25 is refundable to teachers from Economics Arkansas partner school systems upon successful completion of the workshop or if cancellation is received two weeks prior to the day of the workshop. This summit is funded by a grant from the Investor Protection Trust, www.investorprotection.org. Economics Arkansas (through the Arkansas Council on Economic Education) is a private, non-profit, non-partisan, educational organization founded in 1962 by Dr. Arch Ford who appointed Dr. Bessie B. Moore as executive director to promote economic literacy in Arkansas. Its mission is to promote economic literacy and the economic-way of thinking to PreK-12 students in Arkansas by empowering educators to teach the fourth “r,” real life economics.